Michael: I first encountered your music through the split you worked on with Northaunt many years ago. Do you know each other personally or was this the doing of a label? Vinterriket: Hi Michael. 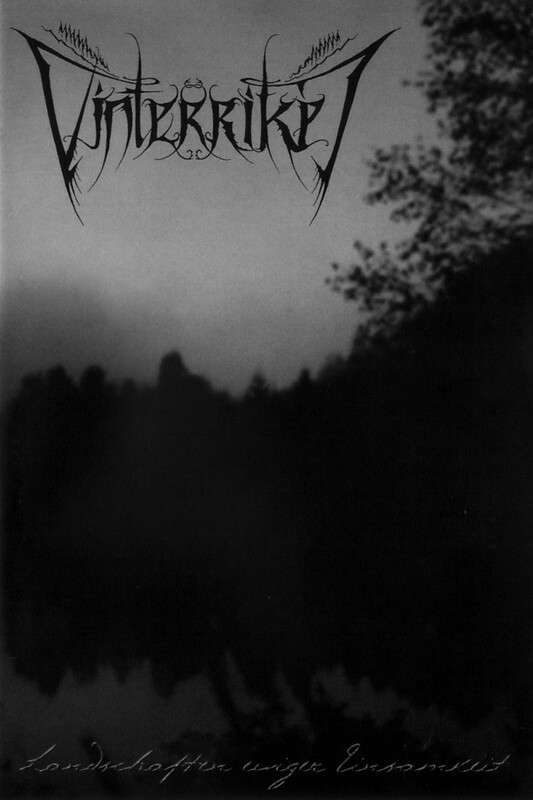 The first split with Northaunt from Norway was released in 2002 if I remember correctly (in the form of a 7” EP). We did not know each other personally. I think it was me who contacted Northaunt because I thought it would be a great idea and because I thought the styles / the concept / the atmosphere fits. It was the time when Northaunt had the “Ominous Silence” CD out. It is a great record. The 7” EP turned out really great, I think. After the first split 7” EP release, various other Vinterriket/ Northaunt versions and releases saw the light of day (limited CD-r/MC-version/CD 2004/another 7”EP). 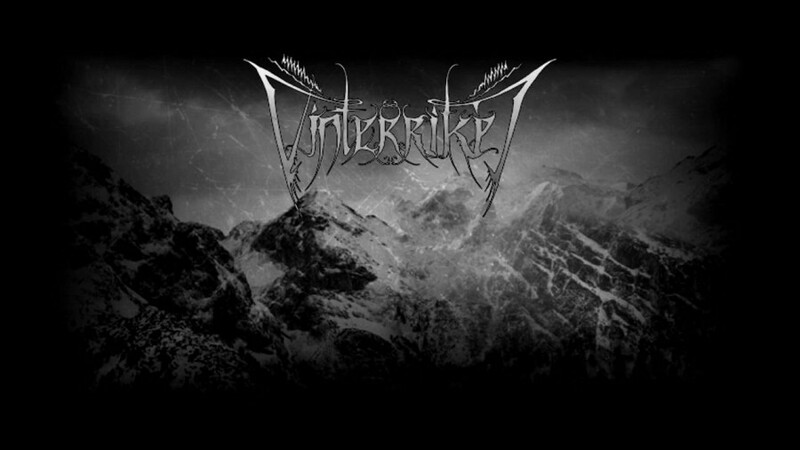 Back 15 years ago, I was actually the man behind Neodawn Productions and I released the first 7” EP of Vinterriket/ Northaunt myself. Michael: Your music takes on many different forms, from dark ambient, to black metal, some instrumental, some with spoken words. Is there a central concept behind all these different styles or do you allow your music to move in any direction you choose? Vinterriket: Vinterriket is only influenced by the dark side of nature, nothing else. Sure, you get influenced by many things around you if you want or not, you can even say by ALL things around you: Friends, books, films, landscapes, pictures, etc. But my main source of inspiration is the “night-side” of nature. Nature is all and everything to me. I am a “nature-child” so to speak and I have a very close relationship to nature. All Vinterriket tracks so far have been odes to the dark side of Mother Nature. Of course I prefer dark, melancholic and moody places and landscapes. I really like to walk around alone in autumn and winter through stormy, snowy, misty and cold woods… We have a lot of great dark and powerful places here in our area where you can really feel the energy and might of nature. Well, maybe there are some people out there saying that I’m repeating myself (with regards to releases) but I do not think so. Different music styles also reflect different tributes to the dark side of nature. Vinterriket’s music expresses a lot of feelings and atmospheres, just like nature itself. At one point the music turns more warm, romantic and “sunny” at the other point more dark, cruel or frightening. But the dark aspect is very dominant, I think. I am of the opinion that Vinterriket is very connected to the north because of the nature- aspect. Ice, coldness, loneliness, dark winter nights, northern lights, endless & vast landscapes, mysterious forests,… The list is long. Michael: Do you often perform live? Do you have any favorite venue where you have performed in the past? Where would be your ideal location for a concert / festival? Vinterriket: Up ‘til now Vinterriket has never played live, maybe in the future? Who knows… This mainly depends on finding other competent session musicians. The music is mainly pure Ambient as you know. So it is senseless to make live-shows, at least in my opinion. In general, Vinterriket’s music is absolutely NOT made to be performed live in crappy concert halls. People should listen to it individually at home during the uttermost darkness. If there would be a gig it would be something very special, I am sure. But there are absolutely no plans for a live-show right now. And 2nd, it would be difficult to perform the stuff live, too. But on the other hand I have several offers for live shows lying here. People are asking more and more about it. But I do not know… Maybe I’ll do gig or more in the future, we’ll see what the future will bring. In the past I had mentioned in several interviews that plans existed to bring Vinterriket to stage in spring 2005 with the help of some session members. Unfortunately those plans died due to one session member leaving the live line-up because of several reasons. With his departure the plans to bring Vinterriket on stage were laid on ice now…. Maybe the plan has died forever….I am seldom attending gigs, actually. I prefer to listen to the stuff at home. I haven’t really thought about any live gig in the last months and years. Playing on a mountain or in the forest would be perfect for a Vinterriket performance. Michael: Where is your hometown? Does this area have an affect on the style of your music? Michael: How old were you when you first began working on dark ambient music? Vinterriket: The story/ history of Vinterriket is quite boring and nothing special, I think. I have started the whole project back in late 1996 when I was a young boy. In the early days the whole thing was very slow and I was not 100% behind it. The first demotape was released in early 2000 or in the end of 1999, I think. So it took 3 years to finish the stuff. This was mainly because of bad equipment and so on. After the release of the demo the whole thing became more serious and I totally focused on the project. Up ‘til now many EP’s, CD’s Demos and so on have been published on different labels around the globe. Too many stuff to mention, actually. Vinterriket was founded because of my endless love to the dark side of Mother Nature. I wanted to express my feelings and the way I see nature through this kind of art in order to satisfy myself. Principally, I make music ONLY for myself, for nobody else. If others like the music, too: Ok. If not, I do not care at all. Of course it is great to see that many others share the same feelings, that many others have the same visions/ landscapes/ feelings inside when listening to the music of Vinterriket and that many others interpret my lyrics as I’d do myself. Then I see they got the point I want to express. Others listen to the stuff and they understand simply nothing of what I wanted to express. But as I said: I do not care at all and it’s ok. Vinterriket is me and I am Vinterriket. No other members have been included in the past. Michael: Sound design was so much different before computers and DAW programs made things simpler. When you first started out, was the recording process much different for you than it is today? Vinterriket: Yes, that is correct. In the past I used 4/8-track recording machines and real keyboards. The process of creating and recording music was definitely different and more complicated. Nowadays, with software synthesizers there are many more possibilities I would say. These new technologies also bring new inspiration. The old stuff I composed as a teenager back in 1996/1997 was only heard by a few close friends and it seemed that they liked it, though the sound was very bad. I had no good recording- equipment. I borrowed the synthesizer and the recording-equipment from our local school…! Some of the old riffs you can hear in the first song of the demotape’2000 called “…Gjennom Tåkete Skogen”, but of course a little bit differently arranged. I do not even have these old recordings anymore. I lost them or erased them… I don’t know. Or there is no device that can actually play the material anymore. Michael: You have a large discography. For a newcomer to your sounds, what would be your recommended album for them to hear first? Vinterriket: This is a very difficult question. If people are into Dark Ambient, I would recommend listening to Landschaften ewiger Einsamkeit – it is my 2004-release. Michael: What can we expect on the new album? Will there be surprises or is this going to stay similar to previous releases? Vinterriket: The new album will be released this summer 2017 and is entitled Nachtfülle. The album will be released in a limited edition only by a French label. There won’t be any surprises. 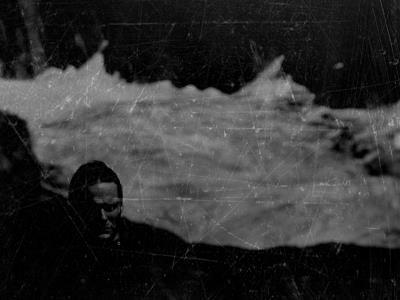 This time it is a pure dark ambient album again, no lyrics, no, vocals. Again, the album is very moody, depressive and atmospheric, here and there also quite hypnotic. Michael: You have some beautiful frozen landscapes as your album art on many releases. How important is the album art to the greater picture for you? Do you usually create these covers yourself or do you have a favorite photographer with whom you collaborate? Vinterriket: The cover- pictures/booklet pictures should always fit 100% to the music. I am of the opinion that the layout and the pictures on my records fit perfectly to the music. The pictures I used on covers / booklets and so on have more or less ALL been taken by me. I am proud to use self-made pictures and not to steal them in the internet like others do. Photography is a great field of art. I have created all the artworks of my releases so far (almost…. there are some exceptions when it comes to re-releases). Layout, music and lyrics are always going hand in hand within Vinterriket, therefore I have chosen dark “nature-layouts” in order to underline the music. 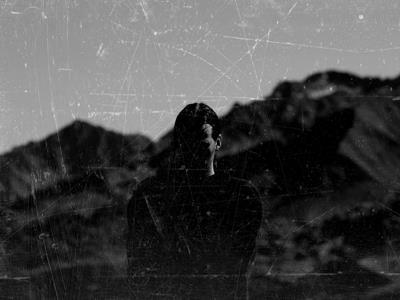 Vinterriket’s music is a tribute to the dark side of nature, exclusively, nothing more and nothing less. I am of the opinion that a record consists of four main parts which should perfectly fit together: format (extravagant packing), lyrics, music and artwork. I am of the opinion that black/white covers/booklets are fitting best to Vinterriket’s music. I’ll probably never use coloured stuff…Lyrics, song-titles and pictures are very important to me. Music, lyrics and pictures (layout in general) should go hand in hand to underline each other. All three components should melt together and the whole thing should be considered as union. And therefore I always use black/white booklets/covers because nothing would fit better, I think. For example, Winterschatten, …und die Nacht kam schweren Schrittes and Landschaften ewiger Einsamkeit are conceptional releases exclusively. On all mentioned records layout, packing, music and lyrics (titles) are perfectly fitting together in order to become “ONE”! Michael: How does your studio space look? Do you just have a laptop and midi keyboard, or is there an elaborate set-up of analog synths and the like? Vinterriket: I actually use both – Some analogue synths and software –synths together with a midi-keyboard that is connected to the computer. Michael: Do you have any favorite artist in the dark ambient scene, or some specific album that you listen to the most frequently? Vinterriket: Not really. I more focus on individual songs instead of albums. I am actually not listening to music that much anymore. There are definitely some great artists – too many to mention. I mostly like music that also reflects and expresses the dark side of nature. Michael: Our modern world seems to be in a bad state sometimes. Do you think the apocalypse is coming? If so, how do you think it will happen? Vinterriket: Yes, it is worrying with regards to the modern world. But I think it is also realistic that e.g. something from space hits us,… or e.g. a natural disaster. But technology and digitalisation is also scary. Michael: Thank you very much for your time, I’ll leave the last words to you! Vinterriket: Thanks for the interview Michael. Here is the link to an interesting and beautifully executed video interview with Vinterriket from 2015 created by: Highelvetia Movies. Link.